The name comes from the Latin cadmia, an old name for zinc carbonate. 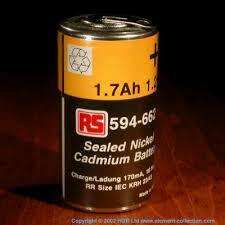 Cadmium is highly toxic, wear-resistant in alloys, has a relatively low boiling point of 767°C and a melting point at 321°C. It just comes as cadmium sulfide (CdS) in greenockite, and as a byproduct of zinc mining in zinc sulphide (ZnS).